What is Head pain or Headache? ?What causes headaches?? is a question that is asked all too often. Head pain or Headache is a neurological condition where patient complain of recurrent or persistent ache/pain around head or face region without any definite cause visible from outside. Headache interferes in all aspects of your life, including interpersonal relationships, sleep, work performance and more. Headache disorders are one of the most common disorders of the nervous system. They are pandemic and, in many cases, they can be recurrent and can accompany the patient for the whole life. Nearly half of world adult population is suffering from some sort of active headache disorders. These disorders impose a substantial burden on headache sufferers, on their families and on society itself. This leads to substantial societal burden is measured in terms of loss of activity at work, as well as of financial loss. Headache has troubled mankind from the dawn of civilization. Back in 7000-3000 BC, trepanation, a procedure wherein the skull was perforated with an instrument, for headaches has been mentioned. Other methods like utilising blood sucking leeches over head or tightening up clay crocodiles over the head are also mentioned in ancient literature for headache treatment. Therefore, people tried to get relief from headaches since ancient times and even used desperate measures like trepanation of skull. Modern science has provided us the opportunity to treat effectively all sorts of headache with proper medical treatment. Basic classification of headache disorders is drafted by International Headache Society (IHS), . Recent International Classification of Headache Disorders 3- Beta (ICHD 3-?) divided headache disorders in 3 broad groups: 1) Primary headaches, 2) Secondary headaches and 3) Painful cranial neuropathies, other facial pains and other headaches. Primary headaches are the most common headaches and comprised of 1) Migraine, 2) Tension-type headache, 3) Trigeminal autonomic cephalalgias 4) Other primary headache disorders. Secondary headaches have many causes and these need to be ruled out by proper investigations. Headache or migraine with symptoms those are unusual or frightening for you. How do we find out root cause of Headaches? Even though there aren?t any headache symptoms per se, finding out the root cause of headache is very important. Without proper diagnosis, headaches cannot be treated. Therefore, it is important that relevant investigations should be done and the treating facility should be well equipped with all recent techniques in imaging and lab investigations required for diagnosis of headaches. 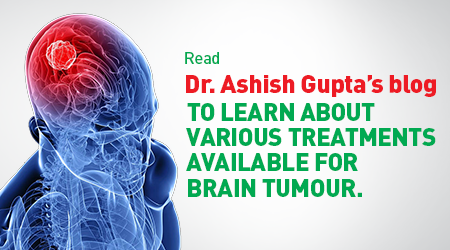 MRI machines with MRA and MRV facilities, which can even detect miniscule lesions in brain is required. Functional imaging techniques are also some times required for proper diagnosis of headaches. Relevant lab investigations are also necessary for proper diagnosis. Detailed history of headache and appropriate examination of patient is foremost in management of Headache patients. Proper history with counselling about illness should be first done by headache specialist. Life style changes and stress management is important for curtailing few types of headaches. 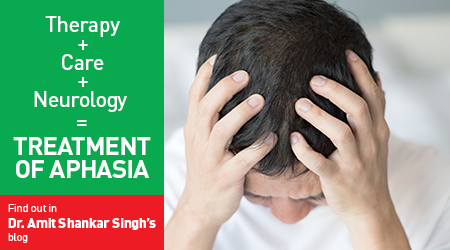 Once the diagnosis of Headache is confirmed, appropriate treatment can be started for treatment of Headaches. Definite guide lines and indications for drug therapy in headache patients should be followed for better results. Analgesics should be limited to avoid medication overuse headaches. Besides drug treatment, Botulinum toxin intramuscular injection is also helpful in chronic headache patients. Greater occipital nerve block is also an option for few chronic headache patients, which can be given on OPD basis. Chronic, intractable headache patients need to be admitted for quick relief of excruciating pain. Various nerve blocks are also available options for headache relief along with occipital nerve stimulation. Finally, headache as an illness or disease is a sleeping giant, as initially it appears unpretentious from outside and to those who are not suffering from it, but when it is fully fledged, its havoc on the individual who is suffering. Precious days and nights of life wasted from migraine and tension type of headache. Proper treatment with headache specialists is of utmost importance along with lifestyle changes for cure of headaches. Posted on March 21, 2018 by admin. This entry was posted in Brain and Spine Health. Bookmark the permalink. Copyright © Fortis Healthcare . All rights reserved.